The Japanese language is spoken by more than 125 million people, most of whom live in Japan. The Japanese language is agglutinative; which means it forms words by putting together basic elements, called morphemes, that retain their original forms and meanings with little change during the combination process. A morpheme is a distinctive linguistic unit of relatively stable meaning that cannot be divided into smaller meaningful parts. Japanese language compounds words, for example compounding consists of combining two or more words or word elements having their own lexical meaning (having a substantial meaning of their own) to produce a new unit that functions as a single word. Since the Chinese characters are extremely productive in their ability to generate new words, compounding plays a major role in Japanese word-formation. By combining a stock of a few thousand characters, hundreds of thousands of compound words are created. The spoken Japanese lacks tones, but has a musical accent and usually stresses all syllables equally. There is no declension for nouns and pronouns, whose grammatical relationships are shown by particles that follow them. Verbs are inflected and generally are placed at the end of a sentence. Extensive use of honorific forms is especially characteristic of Japanese; varying constructions are used to indicate differences in the social status among the individual speaking, the individual addressed, and the individual spoken about. Since the Japanese language uses compounding it can be more difficult to translate. Even the format of the Japanese language is different since they write in "stacks". The direction of writing is usually from top to bottom in vertical columns and from right to left. In scientific texts horizontal writing from left to right is sometimes used. The Roman alphabet has also been used increasingly to transcribe Japanese. Since several thousand characters and two sets of kana are necessary for reading Japanese literature and periodicals, a need for simplification was felt when universal literacy became a national goal. Thus, after World War II, many kanji characters were simplified, and the number generally used was limited to about 2,000. Through another reform, phonetic kana characters are now used to correspond more closely to modern pronunciation than previously was the case. The large number of its speakers and the high level of cultural, economic, and political development of the Japanese people make Japanese one of the leading languages of the world. 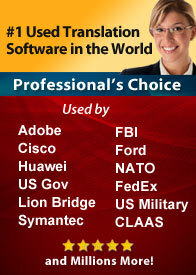 No other software can easily Translate Japanese Emails, Letters, or any other text document. Best of all this Japanese translation software is perfect for the new user or the most advanced Japanese translator. 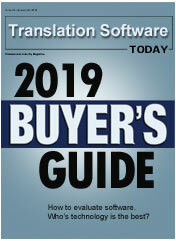 Systran actually holds patents for their translation engine so no other translation software has these same features.